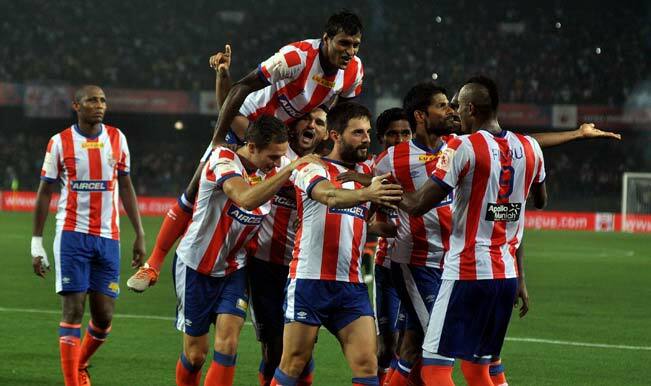 Atlético de Kolkata wins Indian Super League(ISL) 2016 in penalty shoot-out against Kerala Blasters on 18th December 2016. The 2016 Indian Super League (ISL) final goes into Penalty Shoot out and extra time after Atletico de Kolkata and Kerala Blasters FC were tied at 1-1 after regulation time and extra 30 minutes time. Kerala Blasters 1(3), Atlético de Kolkata 1(4). Jewel Raja (Atlético de Kolkata) converts the penalty with a right footed shot to the bottom right corner and lift final for Atlético de Kolkata (ADK) on super sunday.